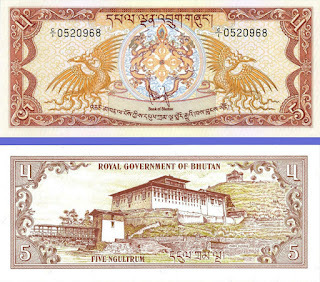 When I first joined the Bank of Bhutan in 1971 (one day I will give you an account of how I, still an underage, managed to get employment in a government entity when the rules forbade it), Bhutan did not have paper currency - our legal tender was Tikchung - denominated at 50 Chettrums. Imagine transecting in thousands of Thalas! The Tikchungs used to be bagged in pouches made of cloth - and carted off into the bank’s currency vault on steel trolleys - pulled and heaved by muscular guards - at the end of each day! For the bank's cashiers - counting the Tikchungs was a nightmare. Unfortunately, there was no escape from the daily End-of-Day (EoD) reconciliation routine. 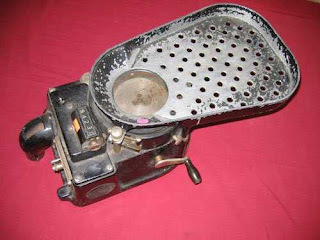 There were also one or two units of coin counting machines, most likely imported from the UK by the BoB’s first Managing Director – Mr. Holms whom I never met because he had died in a car accident by the time I joined the BoB. Mr. Holms was from the Chartered Bank of India (which later became Standard Chartered). 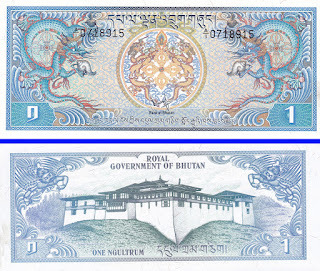 After Mr. Holms, all the CEO's of the Bank of Bhutan were from the State Bank of India - this is no longer true. I recall vividly that the salaries of the RBA personnel posted in the border areas used to be carted on the backs of ponies. The Coronation of the 4th Druk Gyalpo finally saw the printing and release of Bhutanese paper currencies. 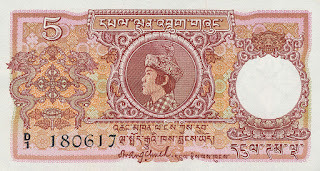 The first of the Ngultrum notes were released on June 2, 1974. They were in the denominations of Nu. 1.00, Nu. 5.00 and Nu. 10.00. 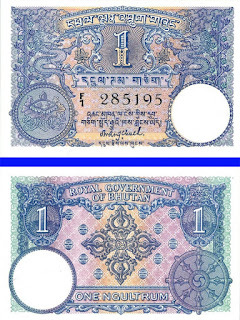 The currency notes of the denominations of Nu. 2.00, Nu. 20.00, Nu. 50.00 and Nu. 100.00 were released in 1978. 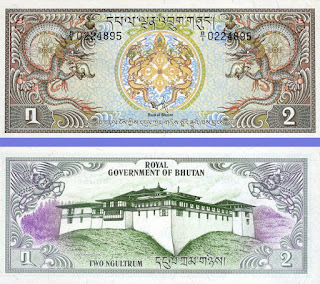 In the absence of a Central Bank, our currency notes were initially guaranteed first by the Ministry of Finance, then by the Bank of Bhutan and, finally, by the Royal Monetary Authority, as of early 80’s to date. 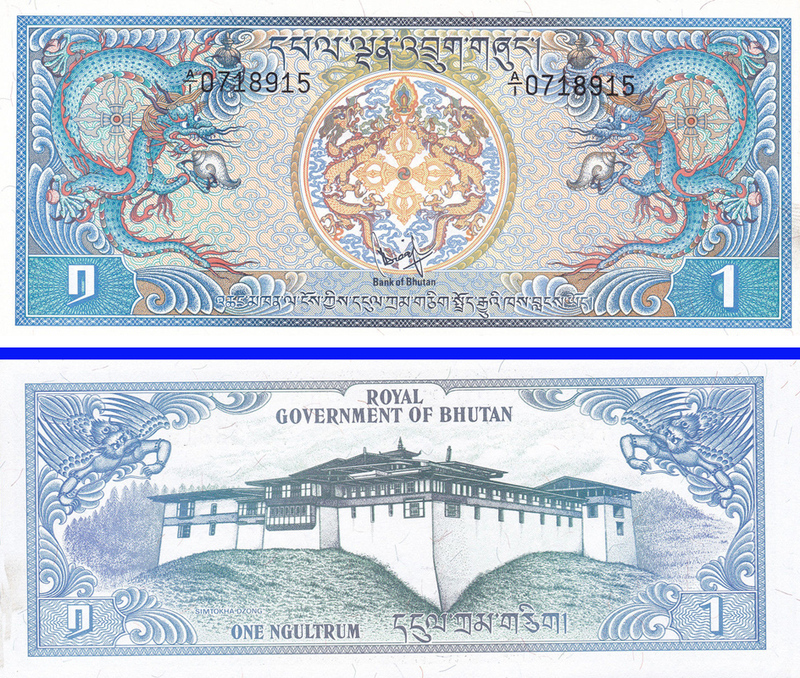 A country’s legal tender is a Promissory Note - thus needs to be validated with a signed promise to guarantee the bearer the payment of the sum denominated in the note. 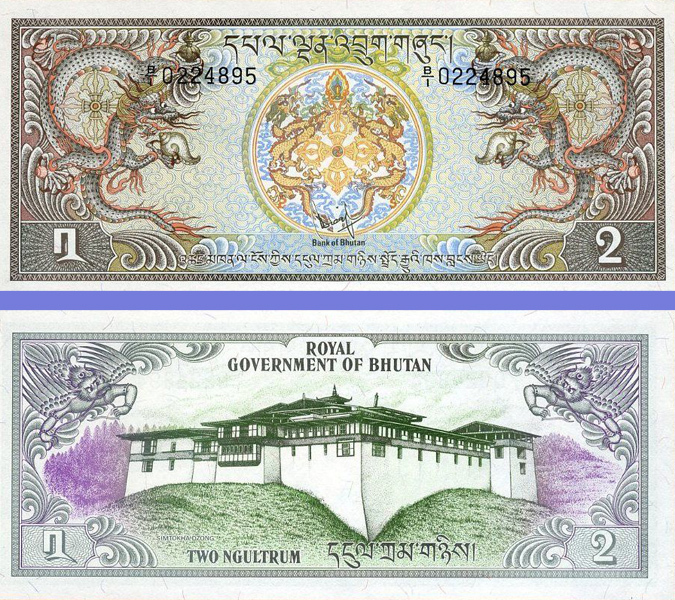 Thus, our currency notes carried the signatures of, in order of listing, His Majesty’s Representative in the Ministry of Finance, the Finance Minister, the Deputy Managing Director of the Bank of Bhutan and, finally, by the successive Governors of the Royal Monetary Authority of Bhutan. 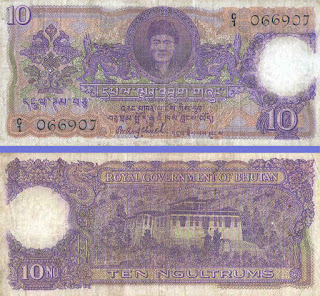 The following is a little known but not very funny piece of history surrounding our currency notes. Pronounced guilty of being in possession of FORGED CURRENCY NOTES! Not very funny actually - considering that Mr. Yeshey Dorji was one of the signatories of our currency notes! Imagine!! Much later, the Barkley Bank's officials apologized to Mr. Yeshey Dorji - since it turned out that the currencies that were supposedly fakes, were actually genuine stuff. 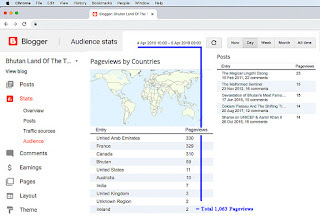 After all these years of Blogging, I still haven't understood my readers' habits - why and when they read certain posts. Look at the following - all of a sudden there is a burst of interest in my older articles. What triggers their interest? What directs their attentions to articles some of which are more than 9 years old? 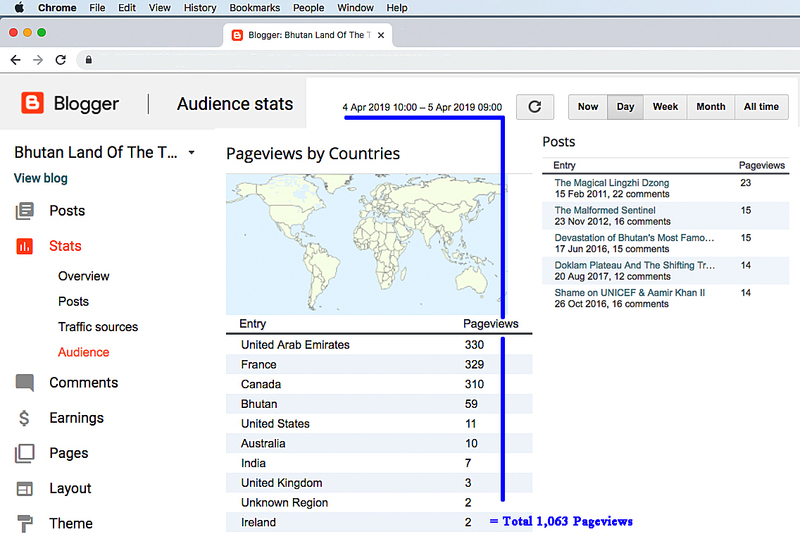 Between 4th April 10.00 PM to 5th April 9.00AM, there were 1,063 Pageviews from a total of 10 different countries. 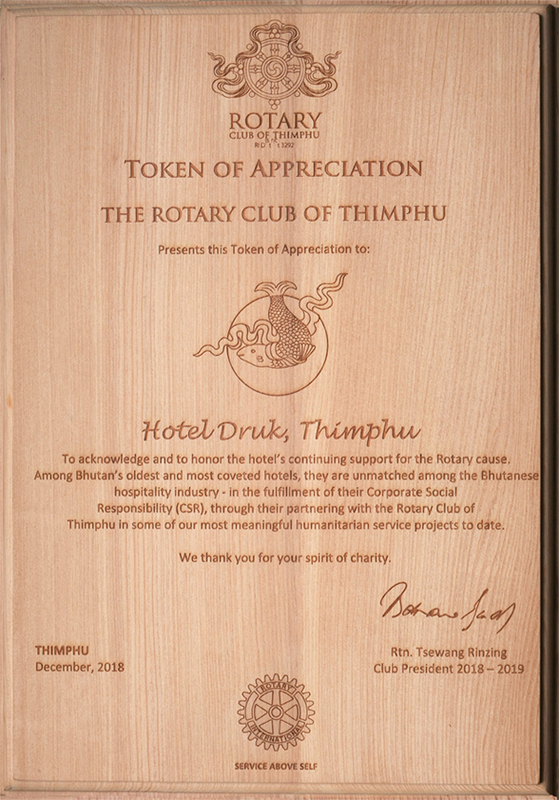 The Rotary Club of Thimphu is a Public Benefit Organization chartered in April of 2012. It is a compact organization comprised of 22 Members drawn from a wide range of backgrounds - doctors, auditors, artists, industrialists, entrepreneurs, agriculturists, social workers, government officials, retired international staff, and even an airline pilot. Our Club associates with over 35,000 other Rotary Clubs in over 220 countries. The Rotary is perhaps the world’s largest club - with close to 1.3 million Members worldwide. 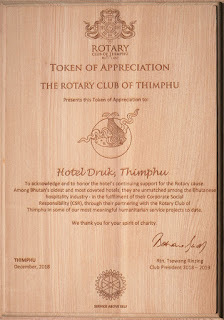 Membership to the Rotary Club of Thimphu is by INVITATION only. No one may become a Member simply because he/she desires to be one. Membership is denied if even one existing Member objects to the admittance of an aspiring Member. The Club does not accept Membership requests from religious and political personalities; neither from non-nationals. The Rotary Club of Thimphu does not engage in anything remotely related to politics or religion. 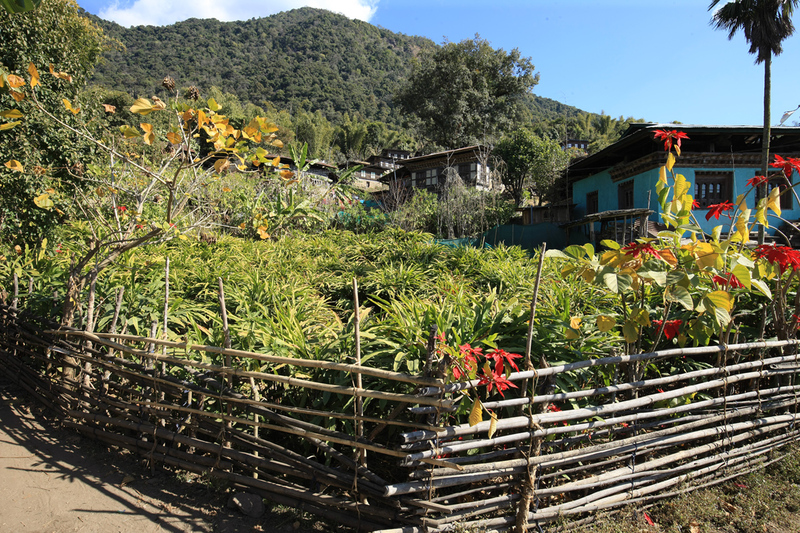 The Rotary Club of Thimphu’s core areas of focus are in Agriculture, Education and Health. 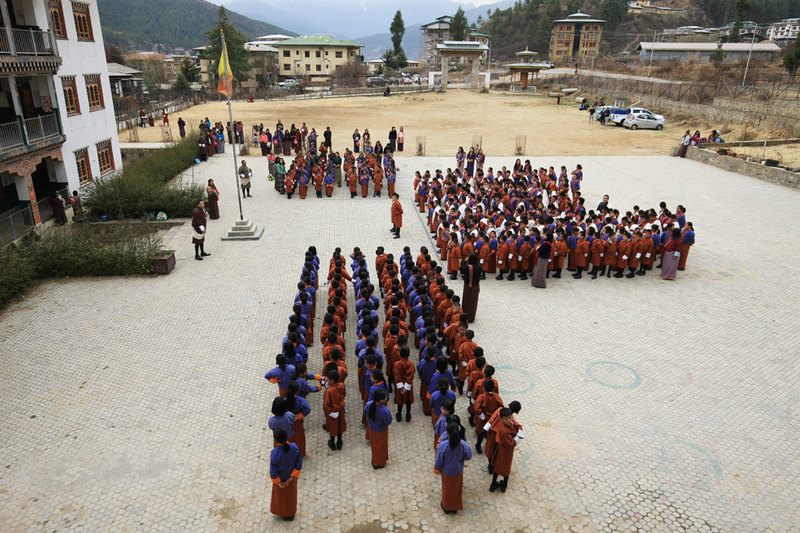 The first time the Rotary Club of Thimphu began its service projects was in June of 2013. The Club donated 2 garbage dump trucks to the Thimphu Thromde (City Corporation), valued at US$ 44,550.00. As of March, 2019 the total value of our service projects stand at: Nu.120.949 million. Beneficiaries include hospitals, youth farmer groups, village dwellers, students, a homeless destitute, a nursing student, the differently abled, and even the dead and dying. The Members of the Rotary Club of Thimphu are proud to have been able to contribute this meaningfully - for the cause of the country and the people of Bhutan. But we never allow ourselves to forget for a moment that our successes are, in most part, due to others around us - those who contribute to our cause. Most of the funding comes from outside - but there are some within the country who contribute to our cause - with generosity and selflessness. 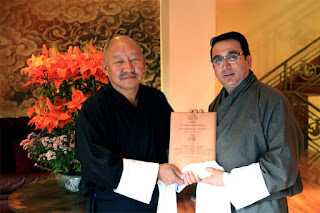 Yesterday evening the Rotary Club of Thimphu honored one such champion of CSR - The Hotel Druk, Thimphu. The hotel has been there for us - every time we needed their help. In fact it was in this very hotel that our ongoing BHUTAN2020 project was conceived - a project that was officially launched in 2018, during the Toronto Convention of the Rotary International. 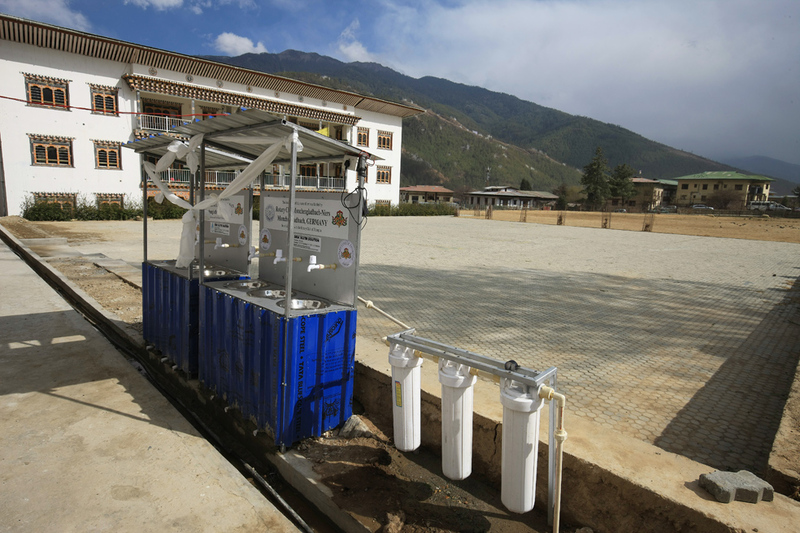 This project will see the installation of $1.00 million worth of SkyHydrant water filers in 120 of Bhutan’s schools across the country, by the end of 2020. The Corporate world and the business houses, along with every single Bhutanese draw their sustenance from the country and its resources. Doing so is our birthright. But the first responsibility of those of us who draw from the common pool is to give back to it - a part of what we draw out of it. You do not have the right to claim to be rich, if you cannot give. There is no pride in withholding all that you have. Please remember, all things considered, every one of us is destined to exit as poor as we entered. Thus, please give while the season of giving is yours - so that those among us who are not as fortunate may benefit from your generosity and spirit of giving. Once in a while, in my capacity as the Club Secretary of the Rotary Club of Thimphu, I am called upon to perform duties that do not validate the fact that I am a person capable of reasoned thinking. But for the sake of harmonious coexistence, keeping company with the illogical is not only wise, but a necessity and a way of life. This world would not be in the mess that it is - if it were filled with people with sound, logical minds. It is proof that the illogical outnumber the logical. 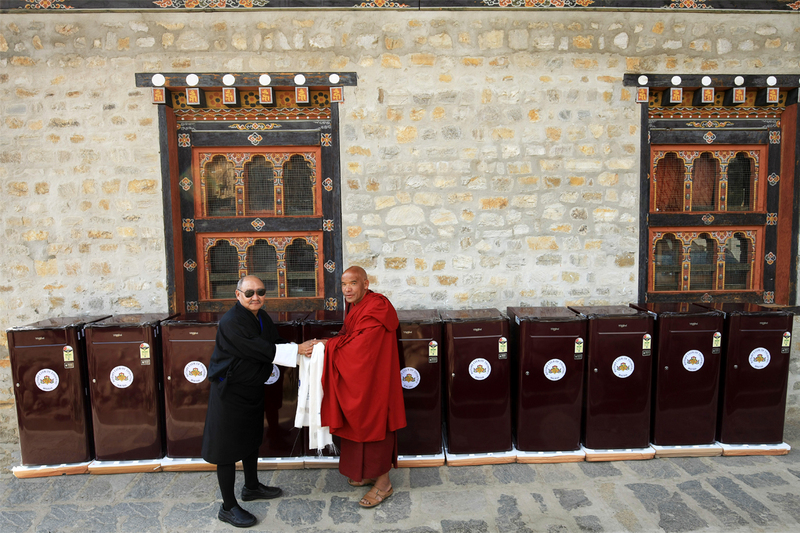 The Rotary Club’s latest humanitarian service project involved the donation of 11 units of 165L refrigerators - for installation inside the guest rooms at the Mithrub Lhakhang close to the central crematorium in Thimphu. The refrigerators are for the use of occupants of the guest rooms who will spend over 21 days in these rooms - doing the last rites for their deceased relatives who have been recently turned to ashes at the crematorium close by. The Rotary Club of Thimphu does not engage in anything remotely related to religion or politics. However, the Club Members reasoned that the donation of these refrigerators is more an act of humanity towards the grieving relatives who need refrigeration facilities. Good enough reason I suppose - after all it would be a virtuous act deserving of merit. The central issue is that one has to be satisfied with ones actions. 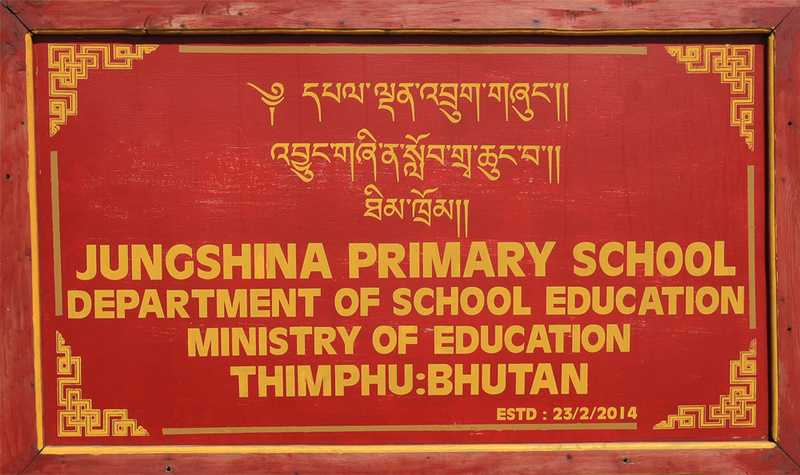 At the end of the handing-over ceremony, we came out of the Mithrub Lhakhang compound fully satisfied that ours was an act of compassion. The monk in-charge of the guesthouse gave us more reason to be even more satisfied - he made a brand new request for another 4 units of refrigerators! The Rotary Club of Thimphu is committed to providing safe drinking water to our school children. In collaboration with Disaster Aid Australia (DAA), we endeavor to supply 120 units of the unique SkyHydrant water filters by 2020, valued at $1,000,000.00. We have already delivered 31 of them. We hope to do 49 of them by this year's end. Our engagement in safe drinking water to schools is not limited to SkyHydrant systems only - we also install UV treated RO systems. We have so far covered 13 schools across the country. Five more are in the process of being installed. Clean and safe drinking water is important for the health of the children. Thus as a part of our Club’s contribution towards the education sector, safe and clean water is at the top of our priority list. 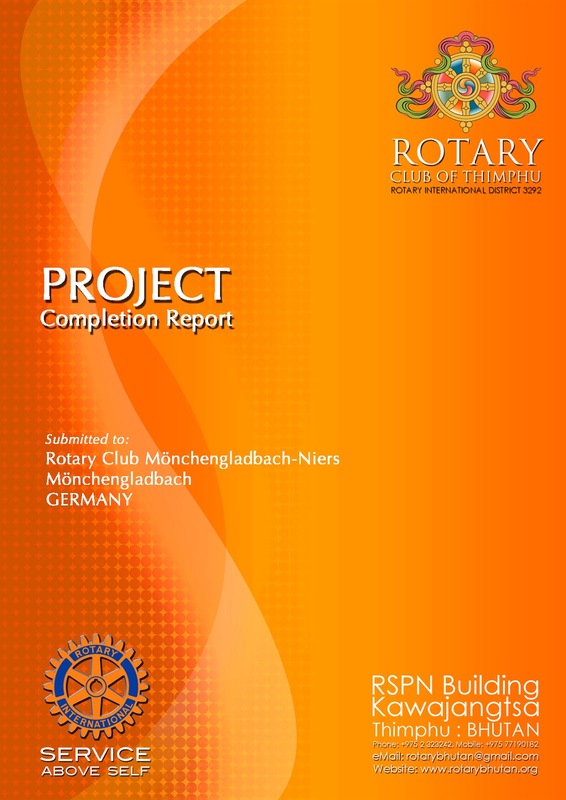 Since 2013, the Rotary Club of Thimphu has done social service projects amounting to a staggering Nu.120,949,093.74. 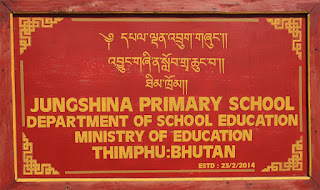 Our latest project is yet again supply of clean and safe water - this time to the Jungshina Primary School, Thimphu. 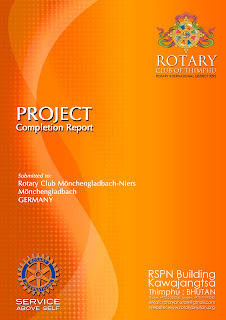 The funding for the project was provided by the Rotary Club of Mönchengladbach-niers, Germany. The filtration system was handed over to the school authorities on 25th February, 2019. I am appalled at the naivety of the DNT government, particularly in the case of the ongoing Cardamom imbroglio - and yet, this is a government after my own heart. I can see that they are trying their best. And, above all, they mean well. And if they have taken a tumble or two, I have no problem with that - give them a year or two - they should perform. Mistakes are a part of the learning process - doubtless even God has made mistakes. But in this ongoing Cardamom issue, I worry that the government is clueless as to what they are getting into. They simply have no idea! 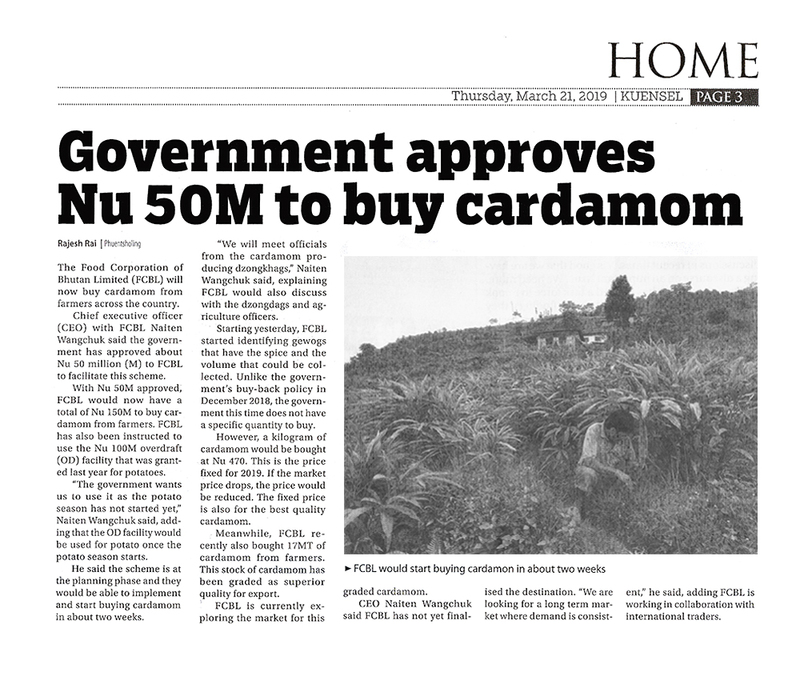 It is apparent that the government thinks they are doing the Cardamom growers a favor (note: I have been using the term “grower” and not “farmer”). Thus I am devoting time and effort towards making an attempt to enlighten the government of the pitfalls on their chosen path. Let me recount a small part of history here - so that they become aware. 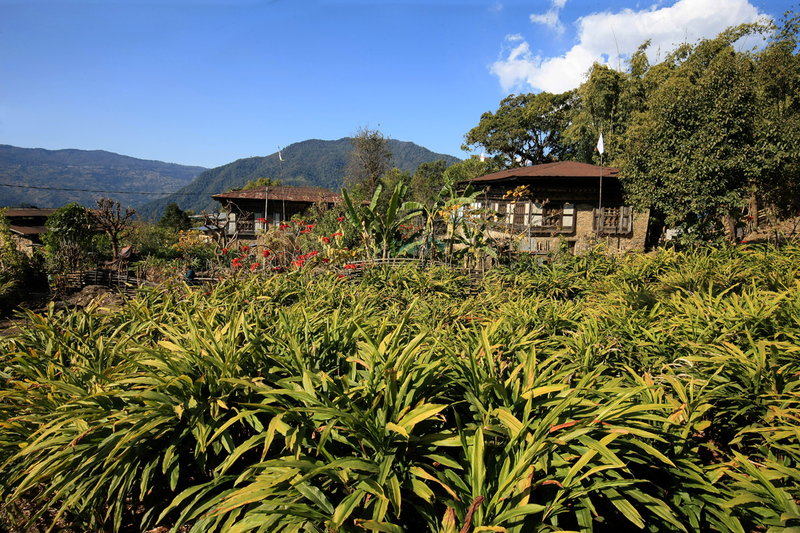 The FCB and the JPLCP of the 80’s era were the biggest dealers and traders of Bhutanese Cardamom. They handled thousands of tons of Cardamom for many years. 3. At one point the FCB refused to release their stock of cardamom to us for export – although we were offering them much higher price than their Delhi Agent. I was infuriated! 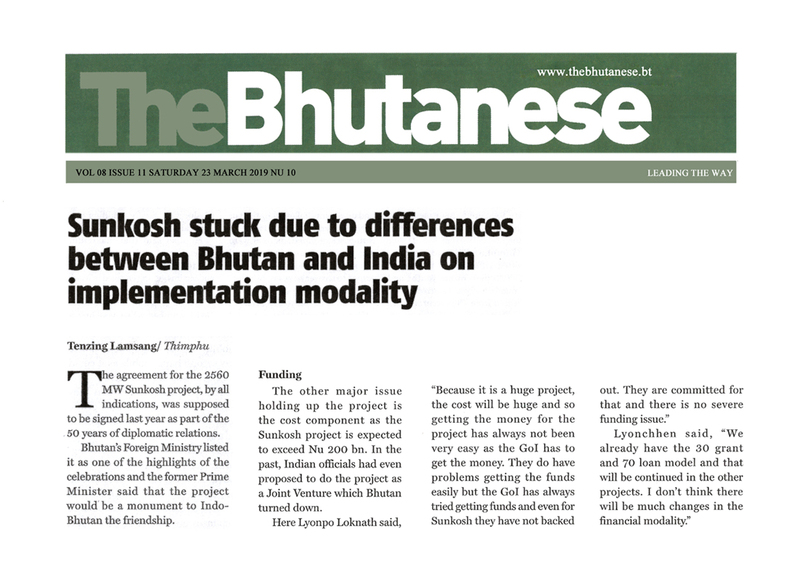 I reasoned and pleaded that Bhutan’s reputation in the international market was at stake. They stood their ground. They pretended that they did not have the stock. I knew that they had the stock. With no other choice left, I launched a covert investigation into the affairs of the FCB. As I knew already, I discovered that they not only had the stock that would meet our export commitment - it turns out that the FCB had a physical stock shortfall of 13 MT of Cardamom. Emboldened by this discovery, I threatened the MD of the FCB - that if he did not cooperate with me, I would report the matter to the Royal Audit Authority. The MD buckled and gave me the stock of Cardamom and we were able to fulfill our export commitment for which 100% payment in the form of a Letter of Credit was firmly in our pocket. 4. Much later I discovered that the shortfall at the FCB was not entirely due to foul play by the officials there - they had been DUPED by the Cardamom growers/traders. The growers/traders had bagged the cardamoms in hessian bags --- and put hot water into the dry cardamom. The dried Cardamom soaked up the moisture thereby increasing the weight of the Cardamom, temporarily. So the FCB was paying for about 10 -15 KGs of hot water, for every bag of Cardamom they bought. Over time the moisture would evaporate resulting in the shortage that I had stumbled on. 5. One year in the 80’s Bhutan emerged as the biggest exporter of Brown Jacket Cardamom - something that is absolutely IMPOSSIBLE. India, Nepal and Sikkim grew 50 times more than we did. But our export figures corroborated the fact. We had exported more than double our annual production. That left me puzzled and intrigued - how is it possible? - until I discovered the truth much later. But this truth I am still not telling. 6. During one of our export shipments consisting of two 20’ containers, upon arrival at the port of discharge, it was discovered, during the process of de-stuffing the containers, that the Cardamoms were infested with fungal growth. I rushed to Singapore to investigate. I found, to my utter consternation, that the Cardamom bags contained an inner lining of clear plastic. I realized that the growers/suppliers had put hot water and tied the clear plastic bags tight - so that the moisture would be trapped. This kept the weight high - but caused fungal growth. The Export Division had to compensate - and in the process we lost over Nu.800,000.00. That was a lot of money those days … and resulted in a Audit Memo against me. I responded to the Audit Memo with uncharacteristic defiance since I had done no wrong. The Finance Minister and the Audit Authorities were furious with my reply and wanted me sacked. They could not - since I was not directly involved in the purchase and storage of the Cardamom - only in its export and export price negotiation. So, tell me, do you believe that the Cardamom growers would have evolved into more ethical persons in recent years? One last question: How would the FCB determine that they are actually buying the grower’s stock? How would they determine that the stock is from 2018? Is it likely that we will, yet again discover as we did in the early 80's, that Bhutan is the biggest grower or Brown Jacket Cardamom - this time courtesy of the DNT government? The FCB might want to remember this: If the stock that you purchase now remains unsold for a considerable duration of time, there will be loss of moisture resulting in loss of weight. But spontaneous loss of moisture is a good thing - but how are you going to offset the loss arising from loss of moisture? You cannot hope to make good the loss through higher price - since the growers have already tried and they have failed. That is why they are pressurizing the government to buy their stock. You might also want to check if there is fungal growth with the stock you already have in your godown. You might also want to make sure that you can identify which stock is bought from which grower --- just in case. Trust me the road to hell is paved with good intentions! 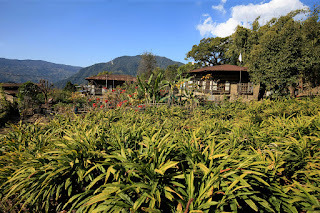 The Rai Brothers of Sarpang are supposed to have introduced the Brown Jacket cardamom into Bhutan, from Sikkim, more than half a century ago. To be fair, it has been good for some people - in fact, since its introduction, it had at one point, emerged as the most valuable cash crop. 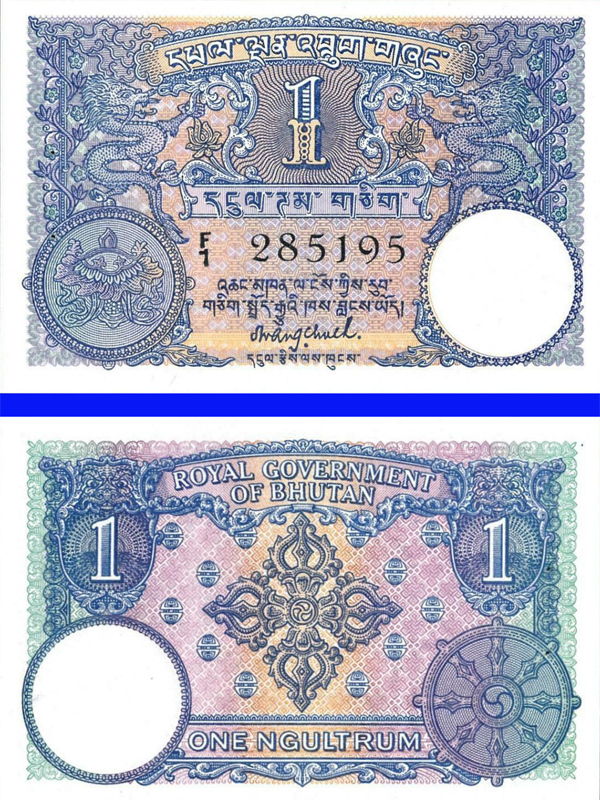 In the early 80’s it was Bhutan’s most important export commodity and the highest hard currency earner. But along with success, it has also caused major environmental destruction. The problem became so severe that for the first and last time in the country’s history, in 1979, the Fourth Druk Gyalpo commanded the nationalization of private property - the cardamom plantations. Along with it, timber trade was also nationalized because in the Northern parts of the country, the wanton destruction to forest was being caused - through illegal felling of trees and trading in them. The most affluent among the Bhutanese will trace the origin of their riches to - TIMBER. The government channeled the marketing of these - wood and cardamom - through its two marketing arms - Food Corporation of Bhutan of the Ministry of Agriculture and Export Division of the Ministry of Trade, Industries and Forests. There was nothing straightforward about the cardamom trade. Everything was topsy-turvy about this peculiar spice that we did not consume - neither as a condiment, nor as an item of food. But boy, it caused a hell of a lot of confusion for me particularly - since I was the head honcho who handled the export of this item. Something the reader may be interested to know is that when we were exporting this spice the US$ to Nu. conversion rate was Nu.7.29. But we exported so much that the Ministry of Finance was at times hard pressed to reimburse us the Ngultrum counter value :)- I remember the exchange rate so vividly because I must have written about 100 letters of reminder to the Ministry of Finance - for the reimbursement of Ngultrums for the US$ that was deposited into their account. 2. usurpation of government/public forests for illegal plantation. Today the cardamom is yet again creating problem for the country. But this time I fear the government has not understood the problem in its entirety. I think they are missing the point completely. The government is on a dangerous path, which will ultimately prove costly for themselves and for the country. 1. Cardamom is a Cash Crop - it is NOT an essential food item. In fact cardamom is one horticulture produce that has no domestic consumption. If this produce is grown - it is done STRICTLY TO GENERATE CASH for the growers. 2. If you travel across the country, you will see that cardamom is now planted everywhere - irrigation land, traditional farmland, even kitchen gardens. A large number of farmers have abandoned farm work and they are now solely focused on one single cash crop - CARDAMOM. Should this crop fail - either through disease outbreak or overproduction exceeding demand, the growers have nothing to fall back on. Their exposure is TOTAL. 3. Because the focus has now shifted to growing the cash crop, traditional farmlands and irrigation lands no longer produce food. This has severe implications on food security. Because of fall in food production, the cost is borne by the nation as a whole - through increased food import bill. The problem is so severe that one village I visited no longer grows vegetables - every single kitchen garden has been turned into cardamom plantation. 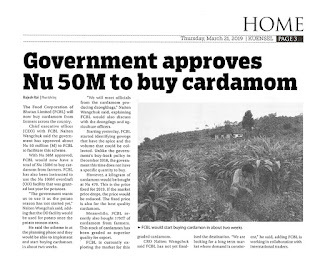 Now the DNT government wants to buy the cardamom from the growers. The question is WHY? Why is a CASH CROP singled out for special treatment? Why does a cash crop need bailing out? Does the government realize that they are opening up a problem for themselves? I can understand if an essential food was the issue. But WHY A CASH CROP? I still have not understood the reason why the government wants to intervene. The rumor doing the rounds is that the growers are not getting a fair price from Indian traders and thus the government wants to come to the rescue of the growers. I believe that the government is clueless as to what they are getting into. They are about to repeat the disaster of the 80’s. The country will support the government if they are bailing out farmers from a crisis of a failure surrounding an essential food item. But NOT for bailing out cash crop growers. There was an element of greed when these cardamom growers abandoned agriculture production and opted to venture into horticulture. Why is the government so sensitive to the growers’ demand for a fair price? What is a fair price? From my understanding, the fair price is determined by the market - Bhutanese growers do not set the fair price. Prices fall and rise - depending on the law of demand and supply. How can the government come to the rescue of the growers every time they think they are not getting a fair price? Does the government realize that if they do it for cardamom this time, the apple growers, the orange growers, the banana growers, the watermelon growers, the ginger growers, the onion growers, the chilli growers, the lentil growers - they could all demand the same treatment? And if they do and the government is unable to provide relief, what would be their excuse - for not being able to extend the same generosity to other growers, particularly agriculture farmers who are contributing to national food security? I urge the government to rethink this through. The path they have chosen is fraught with peril - for themselves and for the Bhutanese people as a whole. Also please remember that cardamom is not a perishable item - the growers can hold on to their stocks for years and sell them when the price is at a level that they determine is fair. Cardamom growers are all conducting business - thus they should know that this is all in the nature of business - hold on to the stock when price is down, release the stock, when the prices are up. The 2,560 MW Sunkosh Hydro Electric Project that we are now pursuing is projected to cost Nu.200.00 billion. Please note: this is only an initial estimate. We all remember that Punatsangchhu Hydro Electric Project I (PHPE-I) was supposed to cost us only Nu.35.14 billion. The cost has now crossed Nu.100.00 billion - and the project is not even half done. The PHPE-I was supposed to be completed in 2016. Its completion deadline has now been provisionally pushed to December, 2022. My fear is this project can never be done - notwithstanding the recent appeal for divine intervention. If one were to look closely at the prevailing energy scene in India, our investment in this sector should not make any sense - the danger signs are palpable. We will sink! India is now the world’s third-largest electricity producer. India’s push towards electricity generation from renewable energy sources is unmatched - it is all set to achieve generation of 100 GW by 2022, from solar energy alone. 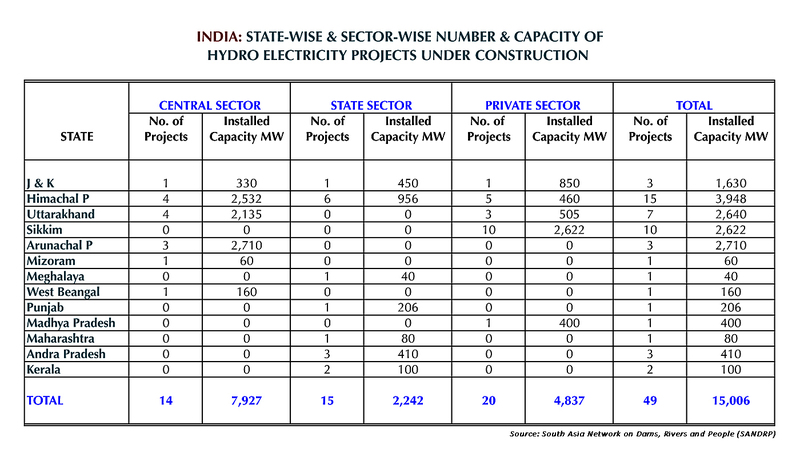 Mercom India Research puts India’s total installed wind power capacity at 35.288 GW, as of 31 December 2018. 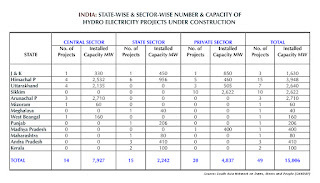 This ranks India as the fourth largest producer of wind power in the world. With all the above, how does hydropower projects make sense to Bhutan? All indications are that India will be energy surplus in the next 2-3 years. India is now all set to sell electricity to Bhutan, not buy from us. To date, I have been invited to speak to 3 batches of guide trainees. On every occasion I have gone to great length to impress upon the aspiring guides just how important they are in the delivery of “high value” component of the “High Value, Low Impact” tourism policy we have pursued since we opened up our doors to tourism in 1974. I have time and again pointed out to the trainees that guiding is not a job - but a profession that will take them places. That the guiding phase in their lives is merely a stepping-stone to a secure and safe future. That it is a time when they have the opportunity to build network, acquire knowledge and skills and establish relationships on which to build their lives. But alas, despite all that, I have come face to face with some truly deplorable and woefully incompetent guides. Quite alarmingly, it wasn’t that some fly-by-night tour companies employed these guides - some of them were guiding for some of the top ten tour companies of the country. Two evenings back I was in the company of a tourist group being guided by a young cultural guide (one of the Rotarian group members had wanted to meet me). The guide was drunk witless, either with alcohol or with substance, due to which he couldn’t simply comprehend what his guest was asking him to do. Worst, he had about him the foul stench of doma. Once in Punakha, I saw a guide sitting on a sofa in a hotel’s reception area - with his legs up on the tabletop, completely oblivious of the many guests milling around him. 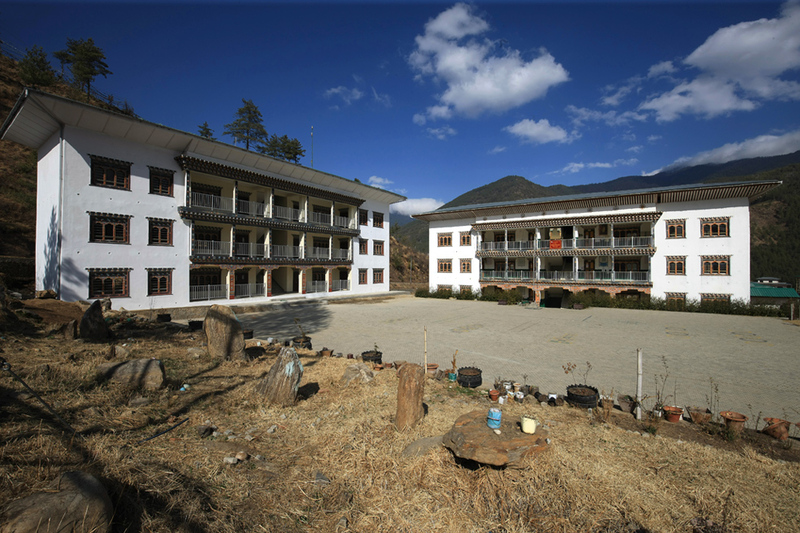 In Bumthang a guide was so drunk that he couldn’t remember why he and his single-person group were in Jakar! After great difficulty he remembered that they were there for a festival - but he just couldn’t remember which one. The custodians of Bhutan's tourism industry - each of them seem to have failed to keep the guides on the narrow and the straight. The regulator failed to regulate and the MBO's were clueless about self regulation. and level of competence and ability. to monitor, regulate and enforce their rules that are already firmly in place. the DO’s and DON’T’s. And yet, many guides fail to adhere to these rules. 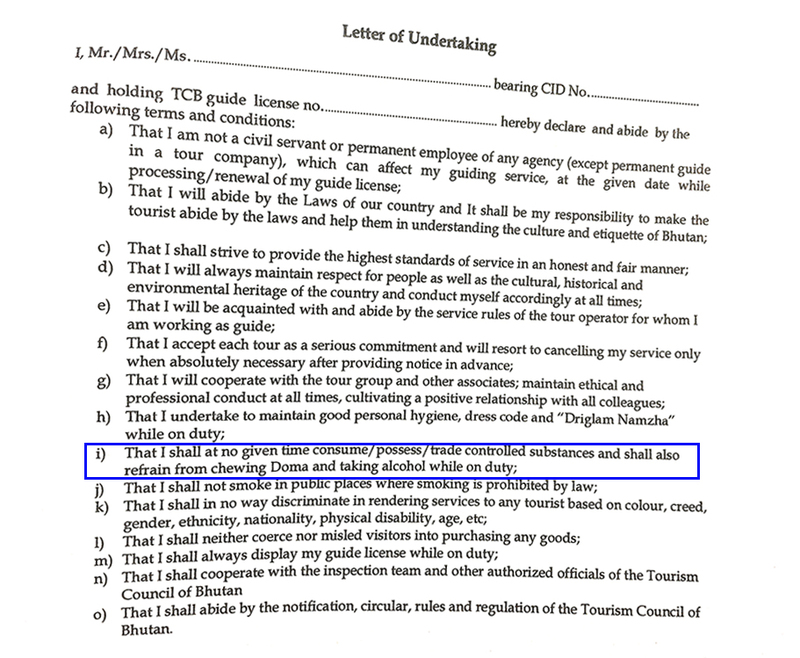 TCB requires every tour guide to sign the above Letter of Undertaking before they are issued their guiding license - then promptly forgets to enforce the rules. 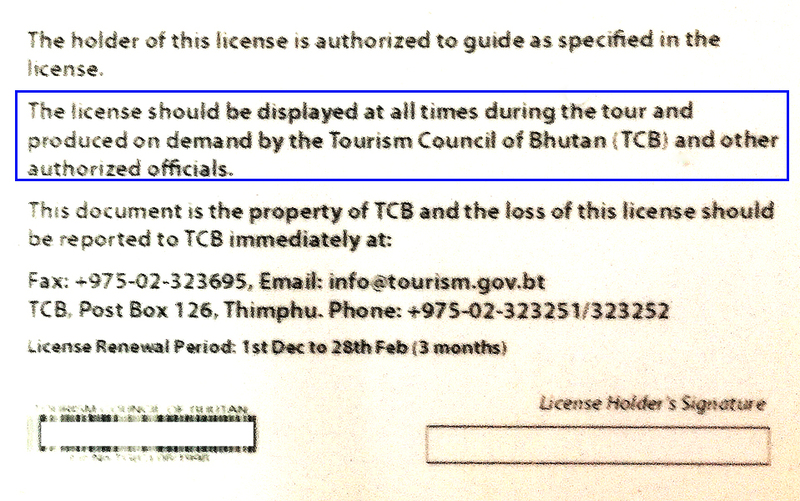 The reverse side of a tour guide's license issued by the TCB. 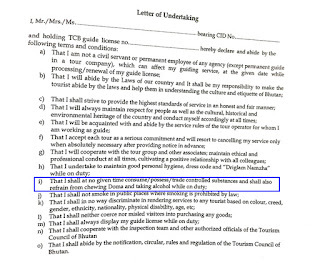 The prominently printed rules require that the guides must display their guiding license but not all do. The guide is the single most important person in the service chain of the tourism industry - even more important than the tour operators themselves! The responsibility on the guide’s shoulders is immense and all encompassing. The selection of the guides should, therefore, be most crucial - because they are the first and the last person the tourists will see, from the day of their arrival to the day of their departure, including every single day in between. The guides set the all important and lingering first impressions - all other impressions are secondary and incidental. There should be no compromise in the selection of the guides. The guides’ training and grooming must be rigorous and first rate. Their social grace must be impeccable – they must be knowledgeable on the country’s history, culture and tradition. In order that they can be sensitive to others’ cultural and religious sentiments, the guides must have a fair knowledge of most of the world’s important cultures and religions. All these qualification requirement means that the guides are highly trained people with special skills. In other words they must be treated with respect and paid much better than some of them are believed to be. I hear that some tour companies pay them as low as Nu.700.00 per day - thereby, on occasions, forcing them to sleep in buses - because they are unable to afford lodgings with what they are paid. We need to improve the quality of our guides. Their knowledge base must be regularly updated - their training course must include some bit of history, culture and religion of the major countries of the world. We need to ensure that the tour companies are employing knowledgeable and disciplined guides, and paying them well. They must not employ delinquent guides. The guides are our ambassadors - they project the face and soul of Bhutan. 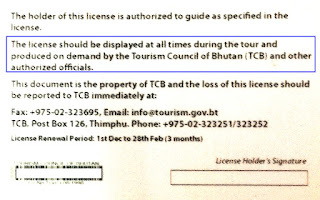 The TCB must immediately assume responsibility over the stewardship of this segment of tourism service. The TCB must step up monitoring in order that the rules already in placed are enforced so that the guides remain vigilant about their responsibilities. TCB inspectors must make surprise inspections to tourist sites, restaurants, hotels and airports - on a regular basis to ensure that the guides are performing as they are expected to. This should not be a problem since TCB has record of what groups are in the country, and where each of them are at any given day. If need be, we must empower the RBP, Immigration and Cultural Officials, hotel/restaurant owners and others to regulate the guides' behaviours. We must all realize that the guides are an important element in guiding the tourism industry’s journey to the top. The metaphor that if you pay peanuts, you get monkeys is a funny allegory, but its implications are serious. It is no laughing matter. What it means is that whole lot of monkeys is ruinous for business. Is This A Compliment Or What? I need to take a breather from this 5T fixation for a while. Moving away, I want to post the following ---- part of a mail I received 10 minutes back - from a very accomplished friend in the US. I am really heartened that you like the current government. I understand that they are inexperienced, but I was very impressed during the campaign, and am no less impressed now, by their platform and heartfelt intentions. I want to write about this Prime Minister, Yeshey, and I think I am the right person to do so. He is a medical professional with a deep public health orientation—and I have been a highly-published public health journalist for 30 years, and editor of &^%$%$ &^*&! magazine for the last 10 years. I feel that I understand where he is coming from, and frankly I am inspired by his vision. I hope that I can interview him for a thoughtful profile in a national magazine here. I am confident that I can accurately translate his ideas and ideals to a wider audience. The DNT government should feel very pleased about themselves - coming from this person, it is no small matter. I also commend the incumbent government on the unswerving position they have taken on the currently brewing storm in a tea cup. The lone Chillip during the Paro Tsechu on 13th April, 1965 who submitted the above report to the magazine was none other than Mr. Gus Browning, a celebrated ham radio luminary from USA. He was in Bhutan in April of 1965, accompanied by his wife Peggy. To this day I am clueless as to how he managed to get into Bhutan - it is a mystery I tried to unravel - with no success. From the above remarks of Mr. Gus Browning you can comprehend that the problem of “lot of loose dogs” was there as far back as 1965 - most likely even before. More than half a century since, the problem is even more acute, to the point that it has now reached a tipping point. But the issue continues to be ignored. I do not know what it will take for people to wake up and do something. But I do know that unless the stray dogs problem is sorted out, the tourism industry’s 5T aspirations will come to naught. At the core of this debilitating stray dogs problem is a select group of pseudo-religious people with a misguided, skin-deep sense of compassion. Their act of kindness is limited to paying lip service. Tell this lot to put their money where their mouth is – to feed the dogs, to house them, to care for them, to medicate them ---- and they will all feign ignorance and wail uncontrollably about financial incapacitation. If this lot were truly compassionate and have the dogs’ best interests at heart, the stray dogs would not be on the streets suffering scabies and pack brutality and all sorts of diseases related to neglect, hunger and old age. They would not have to resort to cannibalism. But those public servants who haven’t performed their duties must also share the blame. This is nonchalance at its highest! Such irresponsibility cannot be condoned. It is for this reason that I had said in one of my earlier posts that if the 4th Pay Commission recommends a pay increase for the public servants on the grounds that they deserve it, the Commission should be charged in the Courts for treason to the Tsa Wa Sum. The only justifiable reason the public servants warrant a pay increase will be on humanitarian grounds; on grounds of inflation. These same public servants and their nonchalance have allowed another perennial problem to fester for decades, with devastating results - Goongtongs (now the term in vogue is "Yuetong"). The unseen face of this malice is that today Thimphu and other urban centers are filled with public servants who are forced into petty thievery - arising out of the economic pressure brought to bear on them, because of the ever increasing incidences of Goongtongs/Yuetongs. To be able to make ends meet, I have heard of civil servants claiming DSA for tours conducted on tabletops, pilfering office stationary such as photocopy paper and copier toner cartridges, and wheeling away pool vehicle tyres, to augment their income. It is a sad situation, but what is a man to do? But for the tourism industry, the stray dogs problem has the potential to derail our march towards the top. The tourism stakeholders need to wake up to this very real threat and bring pressure to bear on the government, the religious institutions and the pressure groups - to address this issue and resolve it - before it causes irreparable damage. So far, despite worsening stray dogs menace, all that we have done is send out a travel advisory: visitors wishing to visit Bhutan are advised to bring along ear-plugs. Is this the best we can do? 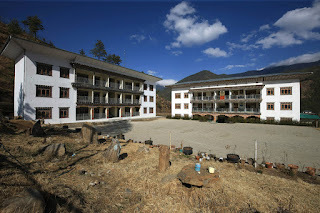 A consistent question that a tourist wishing to visit Bhutan asks is this: Is the hotel where I am staying away from barking dogs? 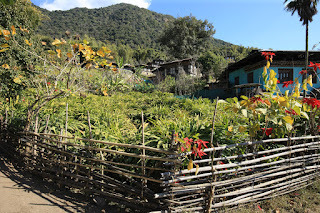 If the tour operators have answered yes, that would be a lie in most of the cases - because, once again, in typical Bhutanese fashion, very few of our hoteliers soundproof their windows, even while being fully aware of the nuisance of dog barks keeping guests awake half the night. They even ignore the fact that insulated windows help them reduce cost of heating. All journeys must begin at a point of departure - for Bhutan’s tourism industry, the point of departure will be when the country is rid of stray dogs problem. The government must act immediately. However, even if we are to act now, the problem is unlikely to be solved within a year or two. Thus we need to look at a quick-fix solution. The answer to me seems to be: clad windows. To address the problem in the short term, I think the TCB should require all certified tourist lodgings to convert their windows to those with insulation - to provide soundproofing against dog barks. While this will not ensure physical safety, atleast the guests can be assured of a sound night’s sleep. I do not know what the law says - I don't even know if there is a law at all. But it is a fact that stray dogs have bitten people in the past - they continue to do so. Thus, nobody should be in any doubt that they represent a threat to human life and activity. Now, knowing that the stray dogs represent a clear and present danger to human life, it should be legally expedient on someone or some institution to ensure that they are prevented from entering public spaces. So, in the event of a claim being filed by a tourist for getting bitten by a stray dog in a public space, who must accept responsibility and make good the compensation sought? 3. The municipal authorities where the incidence took place? of tourists visiting the country? they were fully aware was unsafe? So far we have had it good - I have not heard of a claim being made by a tourist as a result of dog bite. But that is not to say that it will not happen. If and when it does, we need to be prepared as to on whom to fix the responsibility. If there is currently no one agency on whom to fix responsibility to keep the strays off the streets, then we must designate an agency that should be made responsible. The Judiciary and/or the Parliament must legislate a law that will fix accountability on an agency, in the event of people suffering dog bites in public spaces. 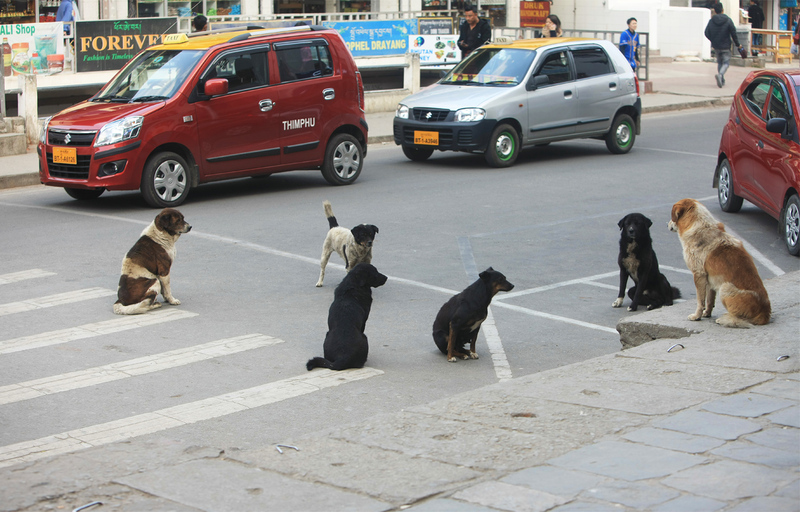 This will be the first step towards solving the stray dogs problem in Bhutan.